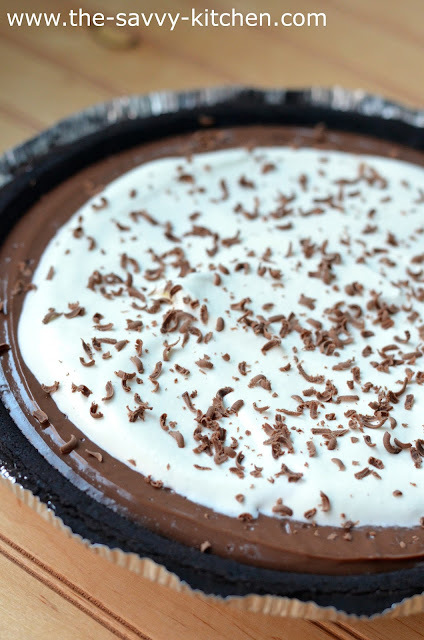 This is our new go-to Chocolate Cream Pie. It's rich and creamy because of the sweetened condensed milk, which also gives it a sweet, rich flavor. I could eat it straight from the can, so you know I was all about putting it in this pie! It takes 10 minutes to make, so if you need a last minute dessert for your Christmas table definitely whip this up. Merry Christmas!! In a medium saucepan over medium-low heat, whisk water, cornstarch and cocoa until smooth. Continue to whisk until thickened and just begins to bubble. Add sweetened condensed milk and whisk well. In a small bowl, add egg yolks. Add a small amount of the hot mixture to the egg yolks and stir quickly. Then add the egg yolk mixture to the hot saucepan mixture. Remove from heat and add butter and vanilla. Stir until butter is melted. Pour into the baked crust. Place a piece of plastic wrap directly over the top of the pie and place in the refrigerator for 4-5 hours or until cooled. 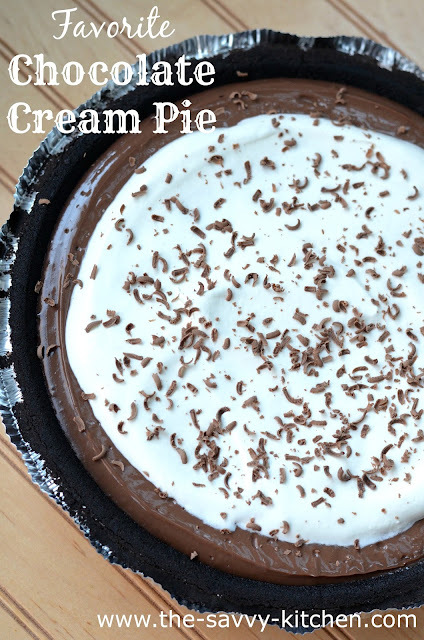 Serve with whipped cream and sprinkle with grated chocolate.